Al-Hujwīrī came from Ghazna, now in Afghanistan, then the capital of the mighty Ghaznavid Empire. He was a Sufi mystic who travelled widely in the Middle East and Transoxiana. The Kashf al-Maḥjūb was probably written in Lahore, where he is buried, not long before his death in about 1074. 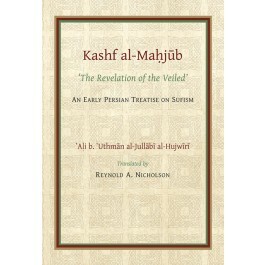 One of the oldest Sufi works in Persian, it is a substantial treatise aiming to set forth a complete system of Sufism. This is achieved partly by the discussion of acts and saying of the great figures of the past, partly by discussion of features of doctrine and practice and the examination of the different views adopted by different Sufi schools. It is enlivened by episodes from the author’s own experiences.